2015 was monumental for Performing Songwriter’s Creative Workshops. 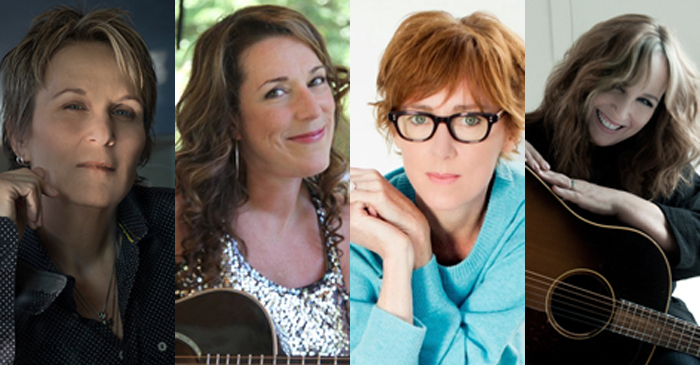 We had 7 songwriting workshops in Nashville, with the brilliant Jonatha Brooke joining our teaching faculty of Mary Gauthier, Beth Nielsen Chapman and Gretchen Peters. Mike Reid, Gordon Kennedy, Don Henry and Sam Baker all jumped in as teaching facilitators and added their talent and beautiful kindness to the events. And we had over-the-top surprise guests who dropped in to perform and teach, including Keb’ Mo’, Pam Tillis, Christopher Cross, Indigo Girls’ Emily Saliers, Travis Meadows, Kathy Mattea, a wonderful bluegrass trio, and more. In addition to all of that, Beth taught a 3-day Vocal Presence workshop for alums at Ocean Way Studios that was beyond anything we could have imagined. And we made trips to Italy for our Tuscan retreat in May with Mary, and October with Gretchen. What a year! 2016 is shaping up to just keep adding more wonderful on top of incredible with some new events, including a trip to Scotland in May with Beth, and an alumni reunion in September. Here’s a video I put together of some of my favorite musical moments from the seven songwriting workshops over 2015—it was so hard to choose, but I think this is a fun sampling. Enjoy! There were two sisters who attended Jonatha’s workshop in August—Chloe who celebrated her 20th birthday on the day of this video, and 18-year-old Tatum. Their mother raised them on Jonatha’s music, playing those CDs around the house from the time they were born. Emily Saliers was the surprise guest that day (you can see her in the video being carried away with the emotion right along with everyone else) and she and Jonatha had both talked about the resonance of great songs, and how they force you to get out of the way sometimes, reminding us that they have a life of their own. When Jonatha got to the double chorus on “So Much Mine,” Chloe and Tatum couldn’t contain themselves and dove right in … it was a moment none of us will forget. Being moved along by the power of a song. Tears and amazement all around. When we were in Italy for our first Tuscan Retreat in October 2014, our small group went on a long walk one afternoon through the countryside, ending up in the rural village of Cercina. There is an 11th century parish church there, the Pieve di San’Andrea, which houses—among other treasures—a fresco by Ghirlandaio (who Michaelangelo apprenticed under), and you can see a bit of in the video. When we finally stumbled into Cercina after walking for a couple of hours, we were told that the priest wouldn’t unlock the church for us. So we wandered around to a cemetery behind it, sat down on some steps to rest, and started singing along to whatever Beth led us in. A few minutes later we received word that the priest said he would let us in if Beth would sing something at the altar. Beth—being Beth—happily said yes, and then proceeded to sing “Ave Maria” IN LATIN (!) in this history-steeped holy place. It’s one of those moments that will never happen again, and I’m so grateful to have been there to experience it. And honestly, this is exactly the kind of magic that happens when you’re in the presence of Beth Nielsen Chapman—the universe smiles and the possibilities are endless. On the last night of our Tuscan Retreat in May 2015, our small group was treated to an incredible event of a meal prepared for us by the family at the villa where we stayed for the week. Afterward, we wandered out of the dining room and gathered in the kitchen area to offer up songs to our Italian friends and thank them for a life-changing week. Mary kicked things off with “The Last of the Hobo Kings,” inviting us all to sing along before passing the guitar on to others of us. You can see the family gathered around the kitchen table to the right in one of the frames of the video, completely mesmerized. They still talk about that evening, and are big fans of Mary’s now. As we all are. That whole week was simply magical. During our October 2015 Tuscan retreat we enjoyed an entire day wandering around the Chianti region. In the afternoon we spent a few hours sitting outside in Montefioralle at a winery, looking out over the autumn countryside while enjoying a wine tasting and listening to a wonderful couple of Italian musicians. We had put Gretchen’s guitar and Barry Walsh’s accordion in the van with us when we left the villa that morning, just in case there was an opportunity to sing during the day. So after we finished tasting the delicious wines and were tired from dancing, Gretchen and Barry joined Tomaso and Enrico for some impromtu fun. We all just kept looking at each other wondering how we got so lucky to be in such a breathtaking place in that moment in time. Dreams do come true. These videos brought back many wonderful memories. Love, love, love …… the workshops and the kinship of all the creative souls – both teachers and students – have been magical and life changing….thank you so much Lydia for all you do…I am forever grateful and looking foward to experiencing more…..
Wow. Very fun, funny, moving and inspiring. Having already taken two Performing Songwriter Creative Workshops, I can whole heartedly recommend the experience. Lydia is amazing. In addition to being a really wonderful person, she is a fantastic organizer who is totally focused on creating a workshop that is both supportive and very valuable to all the participants. I registered for this workshop hoping for a creative spark and left with a wide burning flame, the experience exceeded my expectations. Plain and simple, Lydia knows what she’s doing, and she does it well. Best workshops EVER. Lydia is tremendously motivated and spectacularly learned in her presentation of incredibly successful artists. This is what Performing Songwriter Creative Workshops are all about. Lydia has been active for decades in the marvelous world of musicians, helping their voices be heard and recognizing those who have been fortunate enough, through ability, hard work, perseverance and luck, to make a living doing what they love. Lydia invites these artists and aspiring song writers for an interactive four day workshop that leaves all happily exhausted for the good work accomplished and unforgettable times together. If you need to learn how to transfer what you see, and hear, and imagine, from your brain to whatever your medium of creativity is, Performing Songwriter Creative Workshops are for you. While the emphasis of the workshop I attended was on “songwriting,” the teaching and inspiration I received was applicable to virtually any outlet of creativity. Lydia is one of the most fun and “welcoming” people you will ever meet and her event planning skills are unmatched! From the online registration to the very end of the workshop I felt like I was in good hands. I’ve been writing songs for 4 decades and have recorded 7 albums. This workshop advanced my writing skills and focus more than I could have imagined. I’ve been inspired and more productive, and can see the difference in the quality and enjoyment of my songwriting! The workshop was FABULOUS!! Not once did Lydia Hutchinson ever let the ball drop! Everything ran like clockwork: she was always there, ready to help or clarify something. She thought of everything! And she made each of us feel important. I cannot thank her enough for all she did to make this experience one I will never forget. As a life and executive coach, I’ve attended dozens of seminars and programs. This is HANDS DOWN the most inspiring workshop of all! Lydia’s attention to every detail, coupled with her caring and creativity, and her respect for the best teachers in the business make this a gem of a program you should not miss.